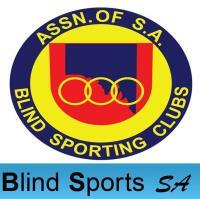 Further discounts apply for Blind Sports SA Members and others with discount code. If you are still not aware of your teammate and are wanting to take advantage of the early bird discount, when completing the online form please enter your details under team member 2 and send an email once your teammate has been confirmed. Association of SA Blind Sporting Clubs Inc. t/a Blind Sports SA is a not-for-profit organisation and has Deductible Gift Recipient (DGR) status with the Australian Tax Office. Participants can enter to run/jog/walk either a 2, 4 or 8km circuit within the safe confines of Victoria Park. The predominantly flat circuit utilises the wide road areas and compact pathways starting from in front of the Victoria Park grandstand. 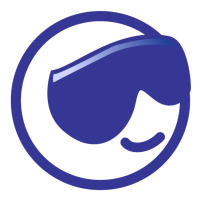 In addition this event provides a unique team challenge where participants can also enter as a team of two or three, with each member taking turns to wear a blindfold and walk or run whilst being led by their team-mate to around either a 2 or 4km circuit or really challenge the way you see the world over 8km. We are also pleased to announce this years exciting new initiative year for those that aren't comfortable wearing a blindfold.....come as your favourite masked superhero. We have some exciting prizes for the best dressed! This event is aiming to raise awareness of the sporting capabilities of vision impaired or blind individuals, whilst providing the opportunity for integration into a mainstream sporting opportunity. There will also be the opportunity to ride a tandem bike (for a small donation) & participate in other vision impaired sports for free! Online entries close Sun 25 Aug at 9:30am.